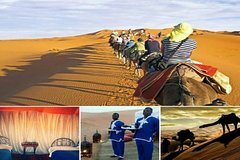 ¿Buscas hoteles cerca de África? 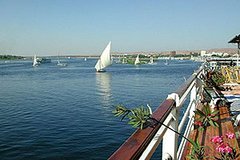 Enjoy a Full day tour to visit the Egyptian museum, Citadel, Old Churches and Khan El Khalili old market. 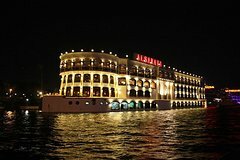 Transfer and tour guide included, entrance fees are not included.Vegetarian Egyptian Traditional Kushari meal is included with soft drinkWe will meet you at the lobby of your hotel with our professional driver and our guide. We will start the day by driving into the heart of the city of Cairo in Tahrir square known as (Liberation square). Visit the Egyptian museum which is the largest depository of Egyptian antiquities any where,it now contains more than 120,000 objects.. .Among its treasures is the funeral collection of Tut Ankh Amun discovered in 1922. There were more than 3500 pieces of which 1700 are exhibited in the museum. including The golden throne and the golden mask. 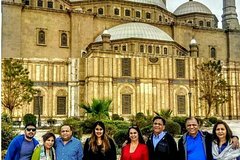 Then we will drive to the citadel which was built by Saladin in 1176 to visit the mosque of Mohamed Ali which is known as the alabaster mosque..Then the area of old Cairo to visit one of the oldest churches widely known as the hanging Church, and then Khan El Khalili market with a walk in Muiiz street with all its medieval buildings and mosques. you have a chance to have a very traditional meal Kushari (included in the price). Later on we will transfer you back to your hotel in Cairo. 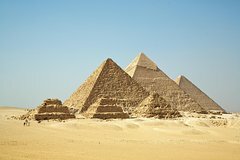 This is a private guided tour to Giza Pyramids and Sphinx where you will enjoy a camel ride around the Pyramids and later live the adventure of quad bike (ATV) with the pyramids in the background.Start your private tour at 9am as you will meet a private qualified Egyptologist tour guide in the lobby of your hotel to visit the eternal Giza Plateau that houses the Great Pyramid of Cheops, Pyramid of Chephren, and pyramid of Mycerinus, later to the highest point of the plateau aka Panorama where you capture great shots and ride a camel, aka ship of the desert, in the Sahara desert around the pyramids, then you will proceed to the Valley Temple or Mummification Temple of Chephren and have a closer look at the Great Sphinx maybe you can kiss him in a picture. Later you will enjoy a local Egyptian lunch (foul or koshary). After that be prepared for an adventure on Quad Bike (ATV) in the sand with the pyramids in the background. At the end of the tour you will be transferred back to your hotel. Nairobi is Kenya’s capital city. 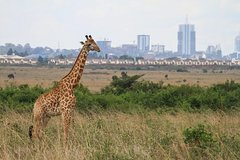 In addition to its urban core, the city has Nairobi National Park, a large game reserve known for breeding endangered black rhinos and home to giraffes, zebras and lions. Next to it is a well-regarded elephant orphanage operated by the David Sheldrick Wildlife Trust. 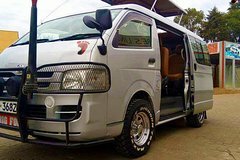 Nairobi is also often used as a jumping-off point for safari trips elsewhere in Kenya.Airport Transfers from Jomo Kenyatta International Airport ( JKIA) to any destination you have within Nairobi City. 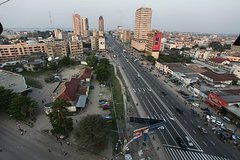 The transfer will be in a comfortable 8 seater Safari Minivan with a professional chauffeur who is well aware of all destinations within the City and is well trained to handle this kind of transfers. The minivan will be available for you from the Airport to the specific destination in your travel plan. This service is available any time of day needed. Any needed assistance will be provided to you at your request. Welcome to Nairobi and enjoy your stay within the Green City under the sun. 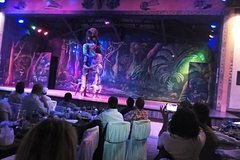 The dancing and dinning under an African Makuti is everyone dearest dream. The African dancers will showcase dance moves that will keep one glued to the stage. What else is better after dinning on various meat roasted on open fire with your favorites accompaniments. The live show will make the food settle and digested properly. While dining there will be live band playing a mixture of Swahili, African and Country Music. What better way to spend your evening.ItineraryThis is a typical itinerary for this productPass By: Nairobi National Museum, NairobiYou are picked up from your Nairobi hotel at 6.30pm-7pm (depending on hotel location), the drive you to the venue. Dinner is served while listening music from the live band playing local, African, Kenyan, Swahili and country music. At 9 p.m. the show will start until 10pm. (local timings). This is an 1 hour show. After the show you may stay another 30 minutes or so then be taken back to your hotel. (if you want to stay longer and dance please advice the driver accordingly.) Dinner and Show is included. Drinks of any choice are not included and you will be billed separately. Please note: Vegetarians may not get much of a choice of food here. 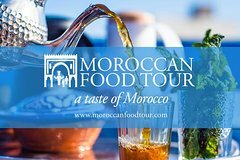 Private Transfer from casablanca Hotel or Riad or Airport to Marrakech Airport Hotel RiadIf it's your first time travelling and visiting morocco you will find our driver waiting for you in meeting point to make you feel in home and welcome you as you are in your second house. 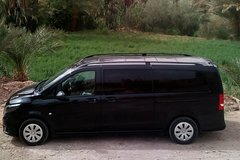 You are in safe hands with Our professional, punctual drivers will make sure everything goes according to plan , from Casablanca Airport , Hotel , Riad to your hotel or riad in Marrakech . professional agency specializing in transfers it's take 4 hours to arrive your hotel or riad and our driver well help you as possible as he can just be sure you get good service. This day trip will take you to visit Nairobi National Park; the nearest Game Park from Nairobi City Center. 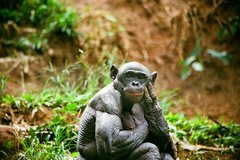 You will have the opportunity to see the African wild animals in their natural habitat. You will enjoy and experience nature, wildlife, a the flora and fauna in the natural areas. You will also experience the people and culture of the area.You will depart in the morning after breakfast or afternoon after lunch from your accommodations in Nairobi and drive to the Nairobi National Park where you will take part in an exciting day of game viewing. The park is famous for its concentration of carnivore including the “Big Five”! 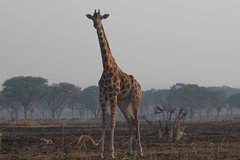 You will also see zebra, giraffe, eland, impala and a variety of birds and reptiles. 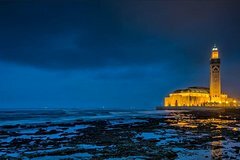 This tour departs daily. This unique wildlife sanctuary is just a few kilometers from Nairobi's bustling city center, with Nairobi boasting of having the only wildlife sanctuary to be found in the city precincts in the world. Despite its proximity over 50 species of mammals can be found in the park. The tour also includes a visit to the animal orphanage at the park gate. After the game drive you will be returned back to your hotel Nairobi. This is where your tour will end.